Here are a few photos taken during the Haptics Class Project Demonstrations on May 3, 2011. 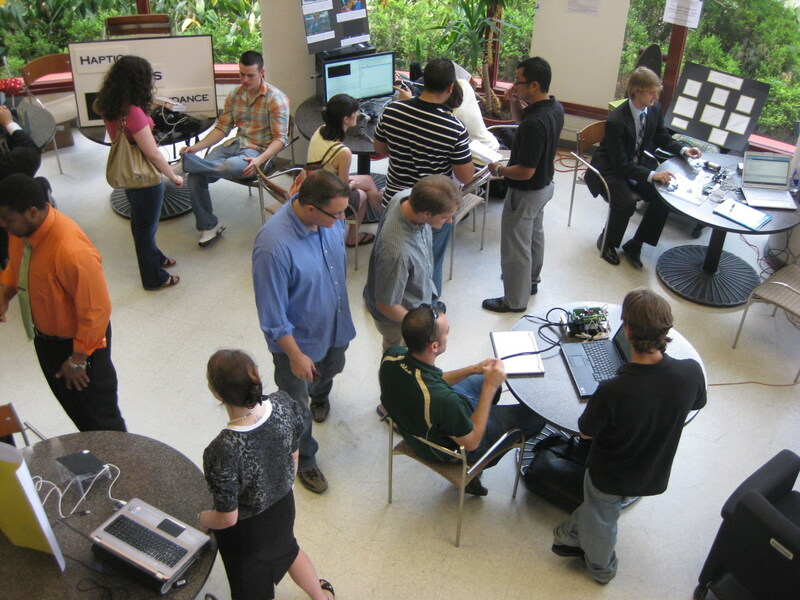 The final projects from the Haptics Class were demonstrated in the "Fish Bowl" in the Engineering II building at the University of South Florida. Last modified on May 11, 2011.